Indoor Soccer is a great way to get extra training sessions in while in the off-season. It’s also a great opportunity to work drills and footwork in-season. Here are just a few of the benefits of playing indoor soccer listed below. 3.More touches, more passes, more action! Indoor soccer is a great way to get in extra training in while in the off-season but its also a great way to improve ball skills anytime. You can also play regardless of weather. Indoor soccer is a much faster paced game than outdoor because the walls create less frequent stoppages than an outdoor game. Since the ball is continually in play, with only a few breaks in play, there are more chances for touches on the ball and constant action. This constant action is a great way to improve fitness levels while having fun. 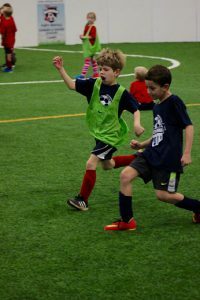 Indoor soccer will help with your off-season fitness program and will help to develop short bursts of speed along with power and endurance. Indoor soccer will also help you focus on developing small group defending and small group attacking. This is because there are generally 6-8 players on the field at a time. Transition becomes a very important aspect of playing successful indoor soccer due to the limited number of players on the field. This is great because it forces players to get involved with both defending and attacking no matter what position they are playing. The number of players on the field also causes more of the focus on the individual. Therefore, skills such as first touch, dribbling, passing, controlling, and defending become very important in indoor soccer. Lastly, indoor soccer is FUN! 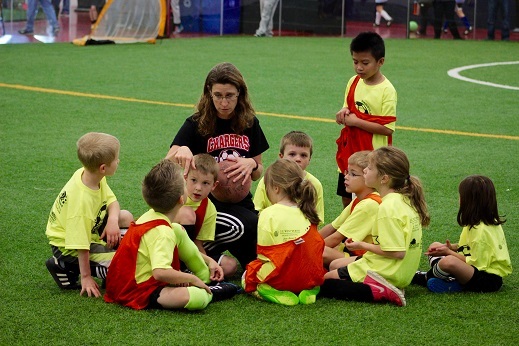 Kids love the change of pace and change of scenery and enjoy playing indoor soccer. 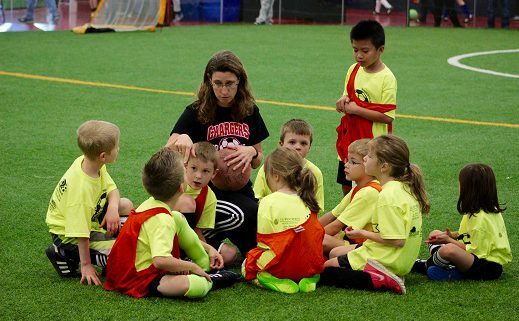 At Soccer Mania we see this every week at the Thomas Indoor Soccer Center. Come see for yourself!